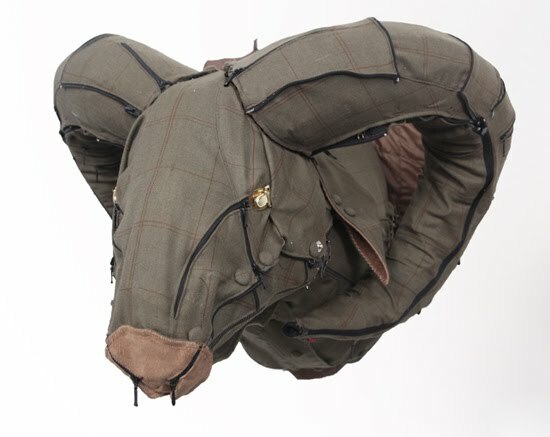 Hunter jacket' by indian born, london based industrial design graduate rohan chhabra is an outer apparel design that transforms into a wall mount of a ram's head. 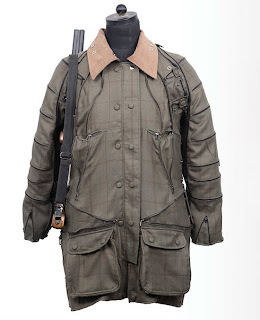 In doing this, the jacket signifies a 'trophy' and makes reference to the reward system associated with hunting. The transformation narrates the use/function of the jacket.hunter jacket' is part of chhabra's embodying ethics series which attempts to take a critical positioning to produce socially responsive design. The objects question the narrative of production, its material, origin, manufacturing but also challenges the narrative of consumption, creating new interaction and social experiences. The focus of this project is to examine design's ability to ask carefully crafted questions rather than just providing solutions.